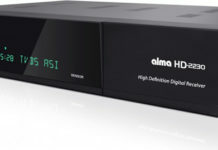 DVB-S2 The ALMA S-2250 is a compact, modern full HD receiver with LAN connection at a very affordable price. 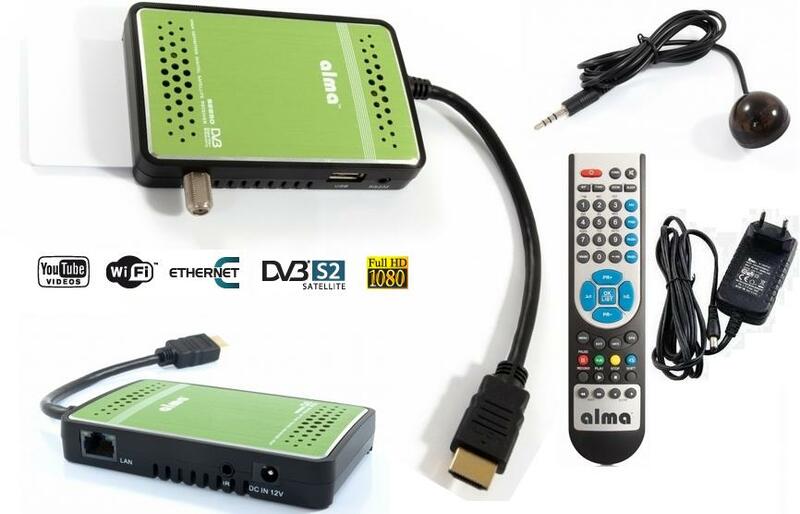 Despite its small size it is a full-featured receiver. 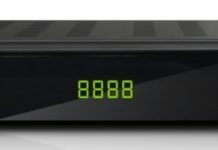 The advantage of S-2250 is very fast channel switching, and the ease of creating channel lists. 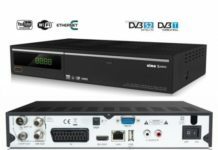 The integrated Conax conditional access module allows the tuner to be used to receive encrypted programs. Receiver meets stringent power standards (<1 W stand-by). The receiver has an Ethernet RJ45 port, which allows the use of YouTube and others. It is possible to connect the Wi-Fi modem stick and wireless Internet use. 12V allows for use outside the home, for example. For the camping using energy from the car battery through the cigarette lighter socket.